Los Angeles-based Twinkle Time and fellow SoCal artist Mista Cookie Jar join forces for a new song and video. If we were teleported inside a disco snow globe, it wouldn’t be as much of a rush as what’s happening in this video. Kidz Rock is like a whirling, swirling, EDM, pop, hip-hop, confetti explosion! Or, as lyrics say “This here’s a kidpaloooza where the music don’t stop.” Next stop: Disney channel! 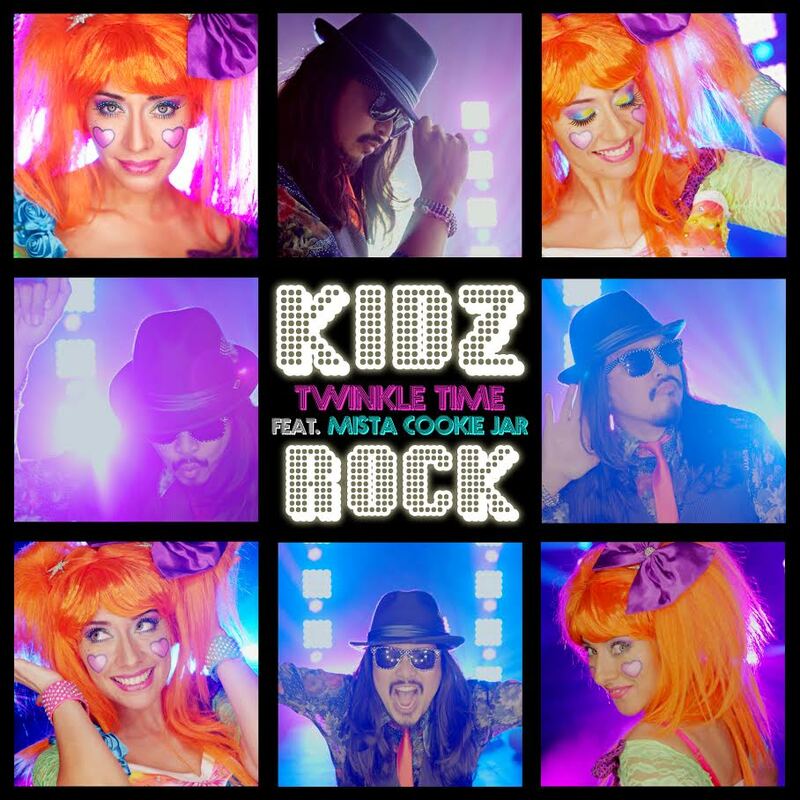 “Kidz Rock” is the first single from Twinkle Time’s 3rd album due late summer/early fall, 2015. You can listen to and purchase the single here.